Sweet Georgia has always held a sweet spot in my heart. Long ago, back when the knitting internet was young, it was the first yarn company I’d ever seen have colourways inspired by Buffy the Vampire Slayer, and the Willow colour was a green to sigh over. It is the first yarn I ever put on my ‘bucket list’. But I don’t do a lot of splurging on myself so I never did get Willow. Or any other Sweet Georgia. (Don’t worry, I’m getting better at being awesome to myself.) 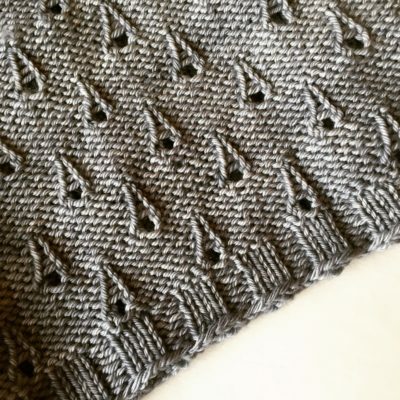 When my very first pattern – Crossed Furrows Cowl – was published, I used the money from the sales to buy 3 skeins of Superwash Worsted and 2 stitch dictionaries. It took a while before I knew what I wanted the yarn to be. And, to be honest, it took a while before I felt ready to knit with something so special. 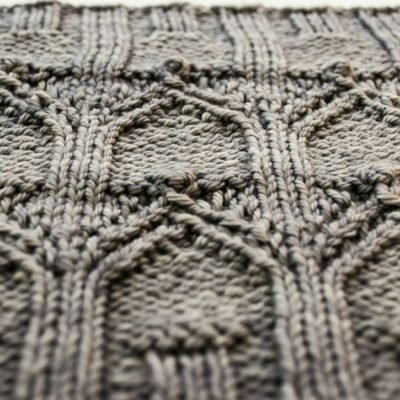 It is described on the website as a workhorse yarn. All I have to say is if that’s their workhorse then I can’t wait to meet their thoroughbreds! At times it feels like it has the dusky softness of cashmere. At other times I swore there was silk in it from the way it looks liquid in the light. 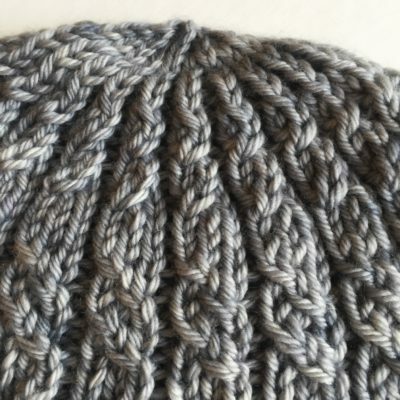 This Silver colourway is just stunning, an almost-solid grey that seems to want to dance with the stitches. I used it to knit both the Stormy Harbour Hat and the Rain on Notre Dame Cowl. 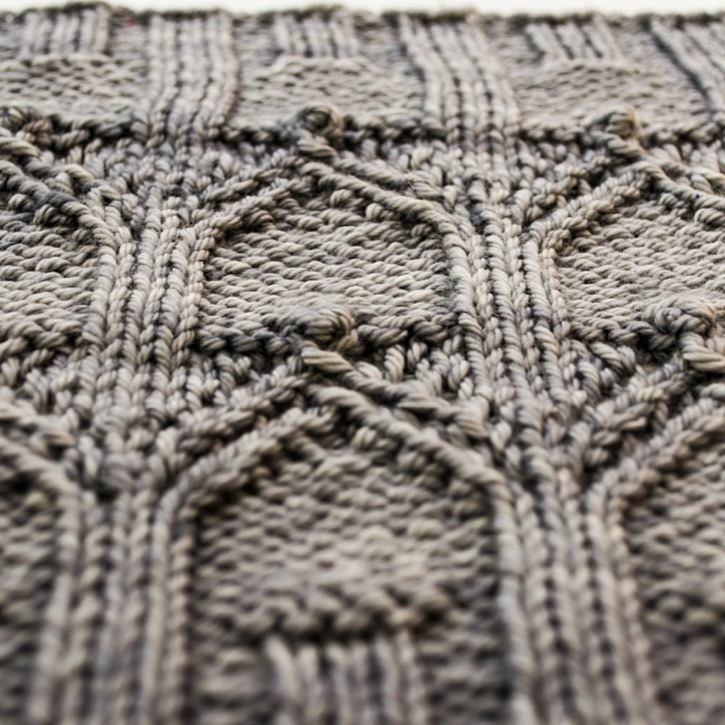 I really put it through it’s paces – cables, lace, texture – this yarn did everything I asked it to with ease. There is something intoxicating about a plump worsted that has drape, don’t you think? For a yarn with such softness and drape, it handled frogging very, very well. I knit the cowl 2.5 times before I was happy with it. 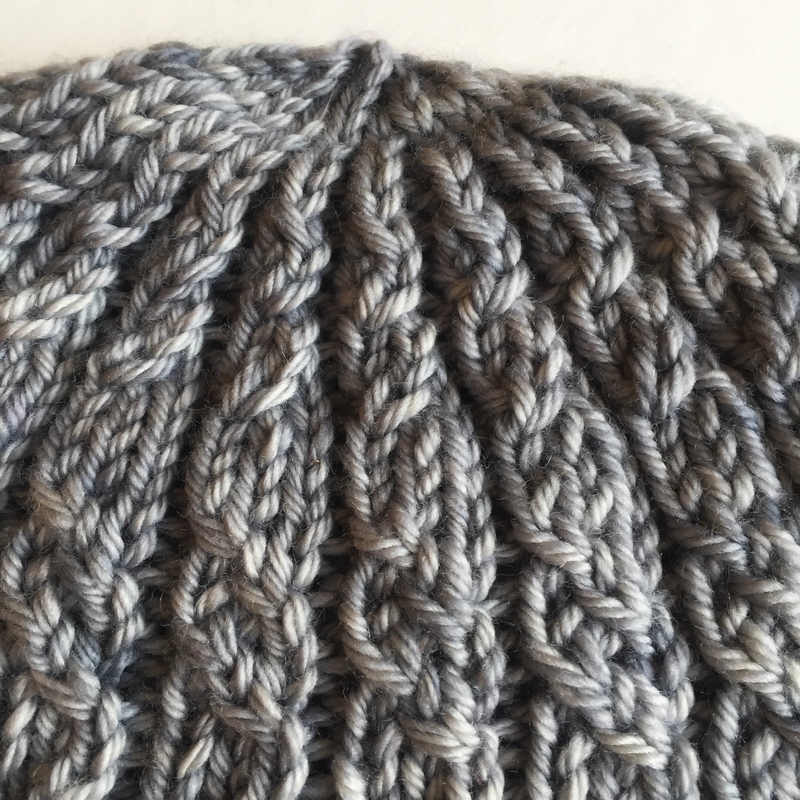 I ripped the crown shaping on the hat three times in my quest for a way to work the shaping in three sizes in a fairly simple way for writing the pattern. The yarn looks as plump and happy as the day I first started swatching with it. The colour range is impressively overwhelming. Go on and enjoy the many shades of every colour, the variegated playful colourways, the smashing array of neutrals…And those of you paying in American dollars, you might want to jump on this chance to get top-quality hand-dyed yarn at currency-boosted deal.